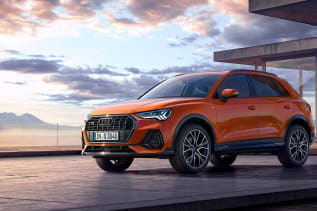 The new Audi Q Range brings together a unique combination of style, advanced technology and enhanced features in a newly updated compact SUV body. 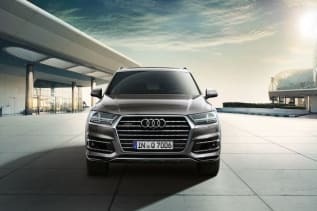 Sharper front and rear designs, now with Xenon or LED headlights as standard, as well as a range of even more efficient engines mean the each model has taken expectations to a whole new level. 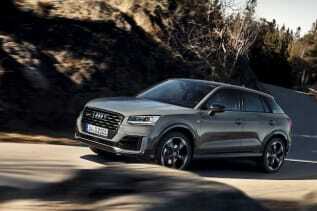 Available as a Q2, Q3, Q5, Q7 or Q8 you're sure to find the perfect new Audi SUV to suit your needs. * Payable with optional final payment. With Solutions Personal Contract Plan. Available on stock vehicles only. 18s+. Subject to availability and status. T&Cs apply. Offer available when ordered by 31/03/2019 from participating Centres. Indemnities may be required. Offers are not available in conjunction with any other offer and may be varied or withdrawn at any time. Accurate at time of publication [January 2019]. 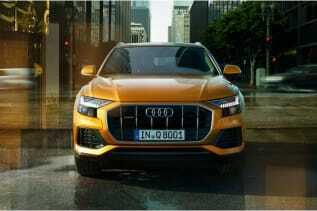 Freepost Audi Financial Services. 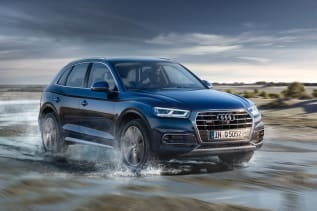 Goodman Retail Limited t/a Sytner Audi is directly authorised by the Financial Conduct Authority (FCA) for consumer credit activities. Our Firm Reference Number (FRN) is 677629. Goodman Retail Limited is also an Appointed Representative of Sytner Group Limited, which is authorised and regulated by the FCA for Insurance Mediation Activities, under FRN 310540. Fuel consumption and CO2 emissions figures are obtained under standardised EU test conditions (or, in cases of vehicles with WLTP type approval, are the NEDC figures provided pursuant to Government guidance until further notice). These figures facilitate direct comparison between different models from different manufacturers, but may not represent the actual fuel consumption achieved in ‘real world’ driving conditions. More information is available at www.audi.co.uk/wltp. Choice of wheels and other options may affect fuel consumption and emissions data.